Denne artkelen finnes på norsk HER. 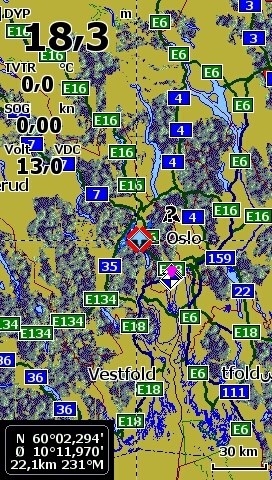 Open Street Map (OSM) is as close to "revenge of the nerds" as you will get with maps and chartplotters. 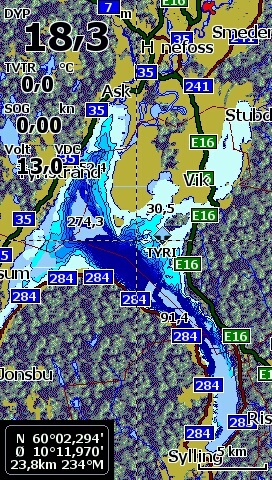 In this article we will take a look at how you can use Open Street Map as background on your Lowrance, Simrad or B&G chartplotter, and it`s all for free! Depths from Reefmaster, background from Open Street Map and on top Genesis Live. 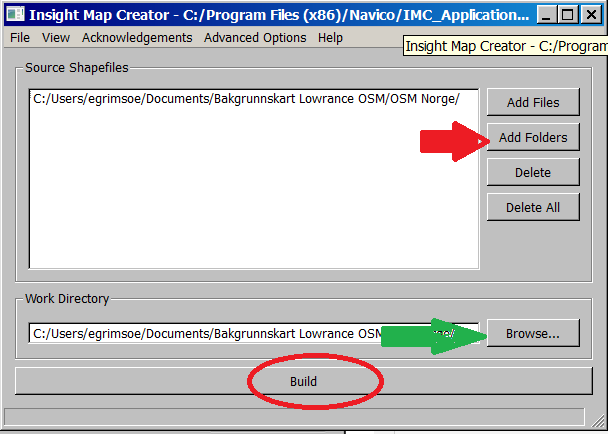 I`m offcourse a huge fan of OSM, although it is mainly for use on land, not in your boat. 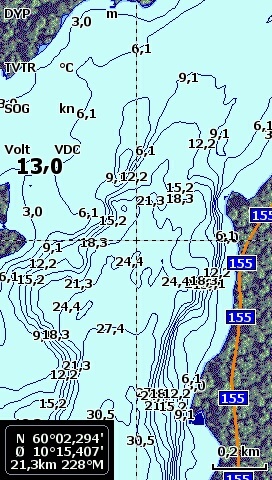 But it can still be useful in your boat, as a background used with other maps with depth-contours, if you mainly rely on Genesis Live or on its own when boating in areas where no contour-mapping is available. But just to be clear, these maps DO NOT have any information of depths, no contours and no point-depths. But that does not mean that they can not be used as a suplement to such maps, more on that later on in the article. 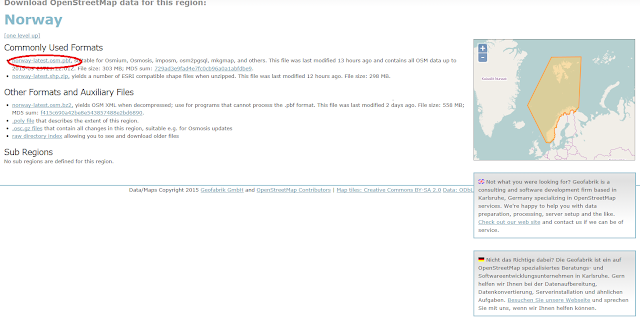 In the red circle on the picture above, you can see the file you need to download: your region-latest.osm.pbf. 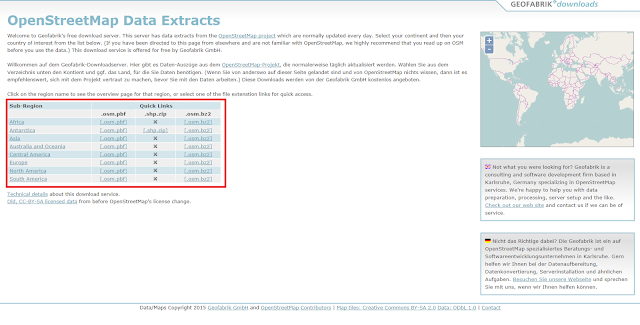 Download this file, and save it to a folder on your PC. 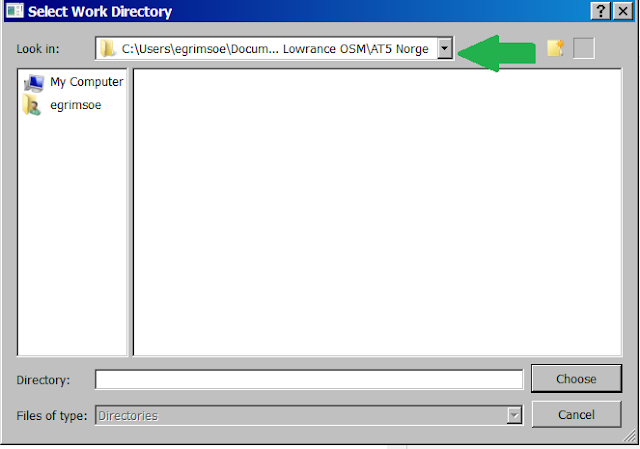 Name the folder something useful, in my case "OSM Norge". The file is quite big, so the download may take a while if you are on a slow internettconnection. Before we take the next step, we will look briefly into "Atlas Version" (Blue circle in the screenshot above). I will not bore you with minor details, just notice that a high Atlas is not compatible with older units. Some features, like depth-highlight and other advanced features are only possible with Atlas 12 or higher. 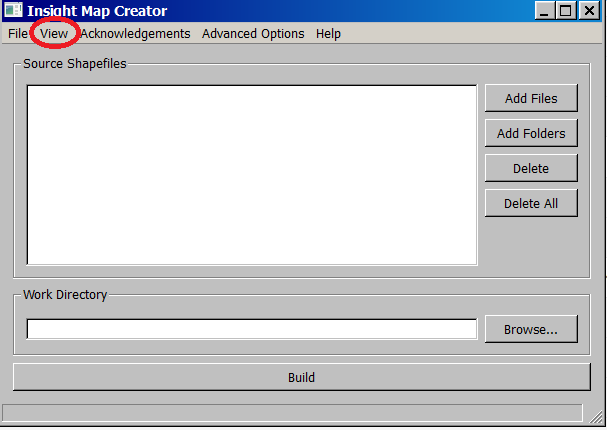 For the sort of map we are building now, we don`t need a high Atlas, so version 7 will do. 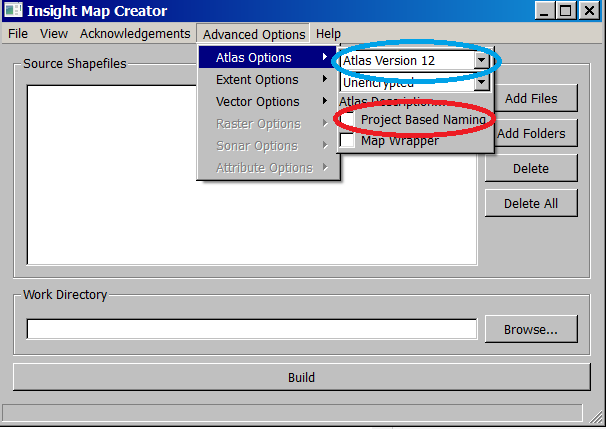 You can use mapfiles with different Atlas-versions togetther, so you can still use Atlas 7 now and combine these files with files from Reefmaster with a higher Atlas. 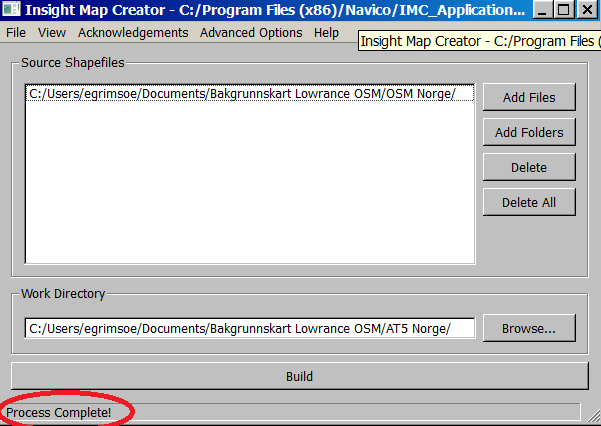 Note that the files has been named after the folder. 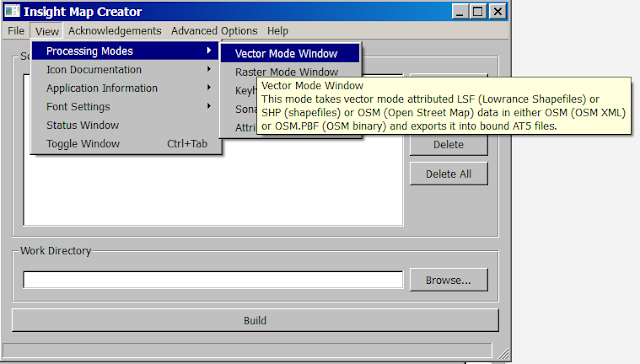 This makes it easier to rememeber which files are what on a memorycard, where you use just the AT5-files and not the whole folder. 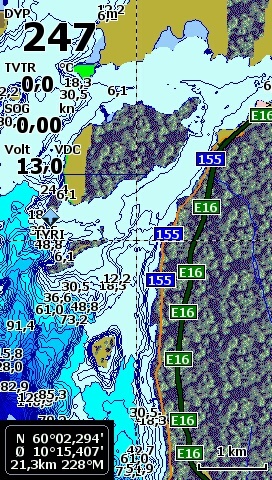 You can now copy these files on to a memorycard and use your map in your Lowrance or Simrad chartplotter. In theory this should work with files from Insight Genesis as well. 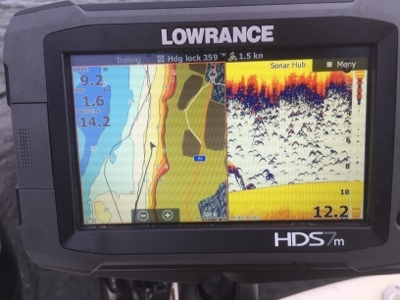 For some reason I have not been able to make it work on my HDS-units, but on my Lowrance Elites and Lowrance Mark it works like a charm. 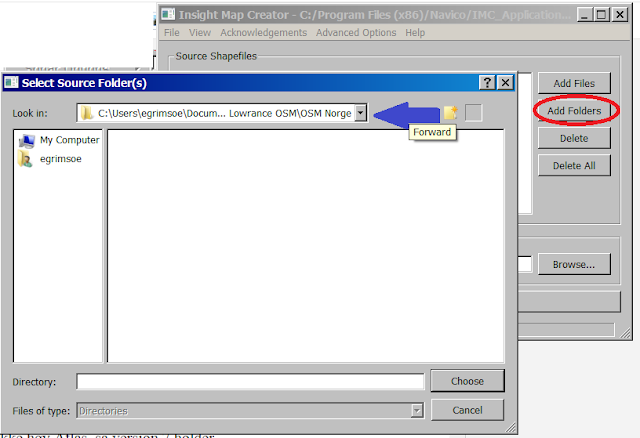 The screenshots below is from my Lowrance Elite 4 HDI, using a free map from Insight Genesis (Social Map) and the OSM-background.